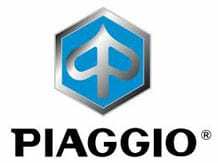 Italian two-wheeler maker Piaggio is looking to expand its sales network in India to over 350 dealerships by the end of this year as part of scaling up its business in the country, a top company official said. The company, which currently has around 250 sales outlets, will however stick to its premium lineage even as it seeks to grow its volume in the world's largest two-wheeler market as it does not want to be perceived as mass segment player. "We plan to expand our volumes in both domestic and export markets. Currently, our sales network is very limited (in India) as we are one of the last players to come on board here," Piaggio Vehicles India Managing Director & Chief Executive Officer Diego Graffi said here during an interaction. There is huge area in India where the company is not present in terms of sales network, he said adding that it has only been 6 years since the company re-entered the country. "Through this expansion of sales network, we plan to expand our presence...we are planning to have 350 active dealerships by the end of this year," Graffi said. When asked if the company would like to compete with mass market players in the country, Graffi said: "Wherever we are present all across the world in the two-wheeler space, we do not want to be perceived as a mass segment player." He further said: "We are not interested in that (mass segment). We are not interested in market share...we are among the top when it comes to brand recall...that is what we are looking at." The company, which sells Vespa and Aprilia brands in the country, sold 74,704 units in India in 2017-18. Piaggio has a manufacturing plant in Baramati in Maharashtra, where it manufactures the iconic Vespa alongside the Aprilia SR 150. Graffi also supported the call for reduction in GST on two wheelers. "In two-wheelers, we have seen a lot of challenges starting from mandatory third-party insurance which came into force from September 2018...then we have new legislations like mandatory usage of ABS from April 2019," Graffi said. Then there is BS-VI challenge as well, so due to all these factors, the industry is going to provide better service, content, safety to consumer, he added. "So, my idea is that reduction of GST rates on two-wheelers from 28 per cent to 18 per cent is quite recommendable from even our point of view," Graffi noted. The company sees two-wheelers as a normal medium of mass transportation and "we don't see having such high GST applied (on the segment), he added. Earlier, Bajaj Auto, Hero MotoCorp and TVS Motor Company had asked the government to slash GST on two-wheelers from the current 28 per cent slab to 18 per cent to give relief to the customers.